There is a vast number of transactions and standard programs which should be used to configure an ALE/iDoc integration scenario. In addition, there are multiple programs and transactions that are useful for day-to-day operations of ALE/EDI layer. For example: process Inbound and Outbound iDocs by standard programs, archive old iDocs, change the status of iDocs, etc. The aim of this post is to consolidate a list of these standard programs provided by SAP and their functionalities. RBDAPP01 is one of the most important programs. 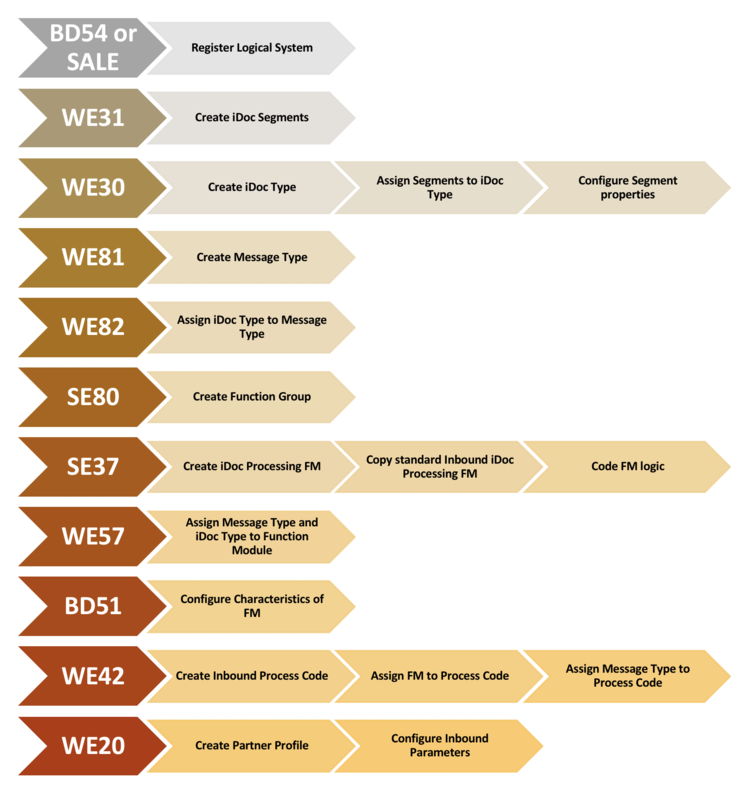 The program processes Inbound iDocs in yellow status, such as status 64 (IDoc ready to be passed to application). Usually, this program is scheduled as a background job to process Inbound iDocs automatically. Standard practice is to create separate jobs for each Message Type, iDoc Type, and Partner combination with other selection criteria depending on your organizational needs. Make sure to include a list of ‘iDoc Statuses’ in the background program variant also. Background mode is the preferred way to process Inbound iDocs. To set the iDoc processing in Background mode, Partner Profile configuration should be maintained as ‘Trigger by Background Program’. Parallel Processing of iDocs can be activated by filling in the Parallel Processing parameters. Select the ‘Parallel Proc. Active’ check box to activate parallel processing and assign the ‘Server Group’. This program is useful to re-process Inbound iDocs which are in an error status. Usually when an inbound iDoc is not posted successfully, it will go into an error status of 51 (Application document not posted). Schedule a Batch job with program RBDMANI2 which runs periodically to process error iDocs automatically. Notice the program does not have a selection parameter for iDoc Status. The program considers all iDocs in error status 51. This is another important program which processes iDocs in yellow status. RSEOUT00 is similar to the program RBDAPP01, but it processes Outbound iDocs. When you configure an Outbound iDoc to be processed by ‘Trigger by Background Program’ in Partner Profile (we20), the iDocs created will be in a status 30 (IDoc ready for dispatch (ALE service) . Program RSEOUT00 processes iDocs created in status 30 and passes them to Outbound Port. If the iDoc is processed successfully from the program it will be converted from status 30 to status 03 (Data passed to port OK). This program is also usually scheduled as a Background Job to process Outbound iDocs generated from different SAP processors. One important parameter to notice is the ‘Maximum number of iDocs’. When you transfer multiple iDocs to the Port at the same time as a batch, this parameter defines the maximum number of iDocs added before the Commit Work. If the number is too large it might result in short dumps and time-outs of the process. When iDoc size is large, set the ‘Maximum Number of iDocs’ to a lower amount to avoid this issue. For example, Article (Material) Master ARMAS iDocs are quite large, while Price Condition (COND_A) iDocs are smaller in size. Therefore, ‘Maximum number of iDocs’ parameter should be set to a lower number like 10-50 for ARTMAS, while COND_A iDocs should be set to 500. As the name suggests, use this program to delete iDocs from the system. Depending on the retention period of iDocs of your organization you can schedule this as a background job. The program will remove the iDoc data from the system and clear EDIDC, EDIDS, and other standard iDoc tables. The same program RSETESTD can be accessed using standard transaction we11. Use this program to change the status of an iDoc manually. You can read all about RC1_IDOC_SET_STATUS – EHS in this post I have written previously. In a production environment this program is mostly used to set the iDocs that should not be processed again to status 68 (no further processing). Program RBDMANIN re-processes Inbound iDocs which have errors. This is a wrapper-program for iDoc re-processing program RBDMANI2 we discussed above. RBDAGAIN is similar to program RBDMANI2 which is used for iDoc reprocessing of Inbound iDocs. But the program RBDAGAIN re-processes Outbound iDocs in error status. RBDAGAIN is also periodically scheduled as a background job to automatically re-process Outbound iDocs with errors. This program is used to create Master and Communication iDocs from Change Pointers. 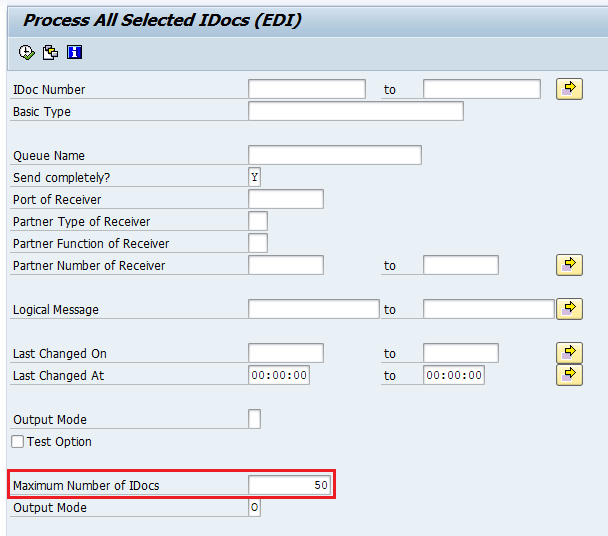 Check my previous step-by-step guide on SAP Change Pointers configuration for more information on this program. Program RBDSYNER re-processes iDocs which are in a syntax error status. Unlike other programs we discussed above, this program can process both Inbound and Outbound iDocs. 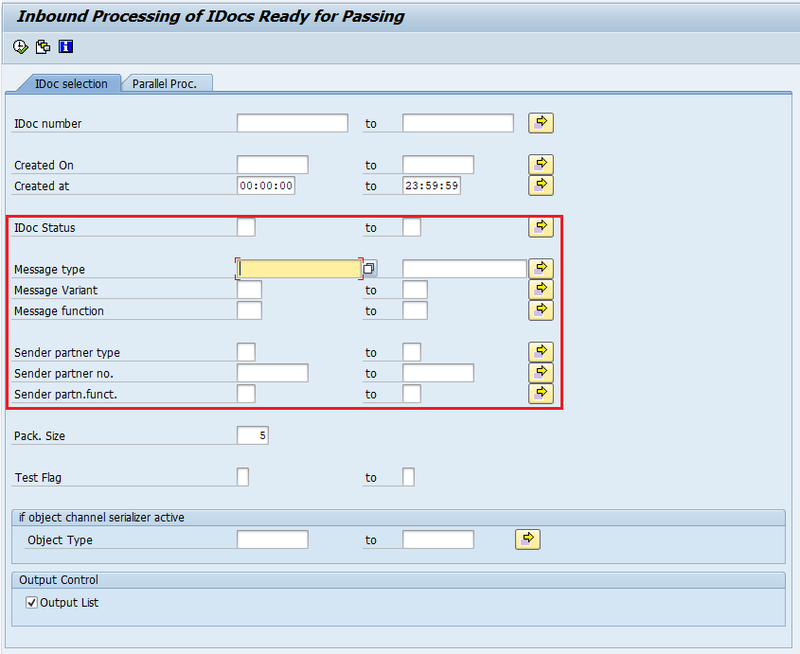 You can select the iDoc direction in Selection Screen using parameter ‘Direction’. Select the direction of the iDoc. 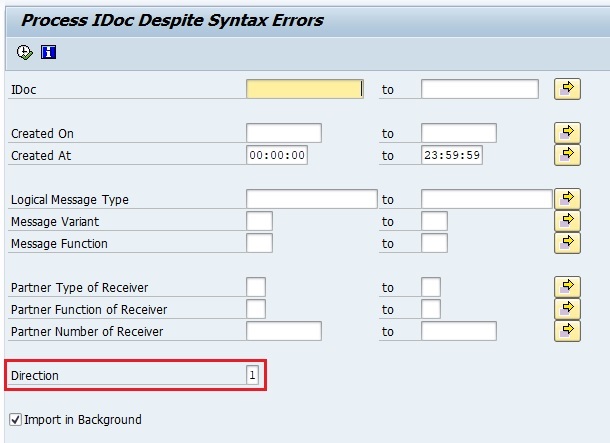 The program re-processes Outbound iDocs in status 26 (Error during syntax check of IDoc (outbound)) and Inbound iDocs in status 60 (Error during syntax check of IDoc (inbound)). This program processes iDocs which were manually edited. Inbound-edited iDocs in status 69 (IDoc was edited) and Outbound iDocs in status 32 (IDoc was edited) are processed in this program. Usually, the user can edit iDocs with transactions we02 or we05. If you have worked with other standard programs that are not mentioned here or if you have any questions, let me know in comments!